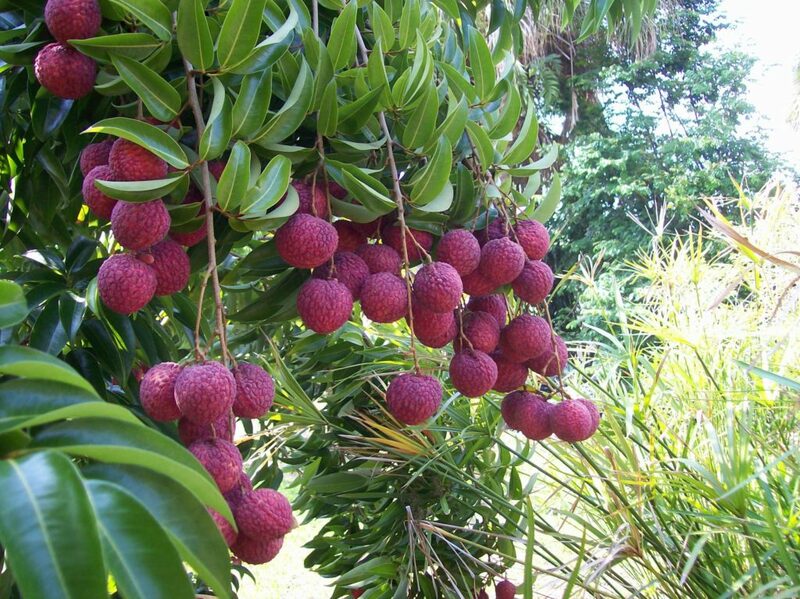 The lychee fruit is about 1½ to 2 inches in size. Lychee is oval to rounded heart shaped and the bumpy red skin. The crisp juicy flesh of a lychee fruit is white or pinkish. Lychee is translucent and glossy like the consistency of a grape. The taste of lychee is much sweeter. Lychees have a sub acid sweet taste hard to describe. The sugar apple is very closely related to the cherimoya. The fruit are typically baseball to softball size. They taste like sugary sweet custard. The pulp comes apart in segments each containing a small black. Wholesale volumes are available in the fall. 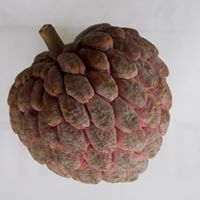 The sugar apple is very closely related to the cherimoya. The fruit are typically baseball to softball size. They taste like sugary sweet custard. The pulp comes apart in segments each containing a small black. Fruit available in the fall. Sapodilla or sapota (chikoo) is in line with mango, banana, jackfruit. Sapota composes of soft, easily digestible pulp. Fruit made of simple sugars like fructose and sucrose. 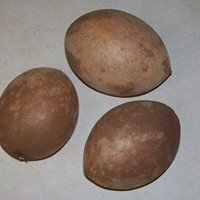 Sapodilla or sapota (chikoo) is in line with mango, banana, jackfruit. Sapota composes of soft, easily digestible pulp. Fruit made of simple sugars like fructose and sucrose. Volumes are available from January through summer. Passion fruit is mysterious biblical fruit. Passion fruit has a surprising number of health and medicinal benefits. Passion fruit is mysterious biblical fruit. Passion fruit has a surprising number of health and medicinal benefits. It reduces signs of premature aging and, lessens inflammation. 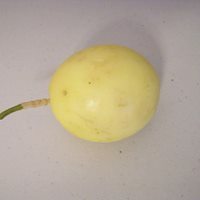 Dimocarpus longan, commonly known as the longan. It is one of the better-known tropical members of the soapberry family. To which the lychee also belongs. 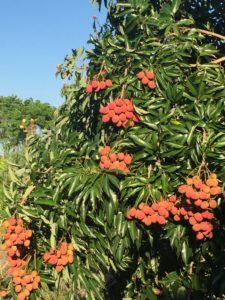 Included in the soapberry family are the lychee, rambutan. 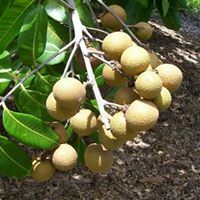 Longan is commonly associated with lychee, which is similar in structure but more aromatic in taste. It is native to Southern Asia. Dragon fruit tastes like a mix between a pear and a kiwi and for other like kiwi and melon. We grow both the red and white inside colored fruit. The red varieties are much sweeter than the white. 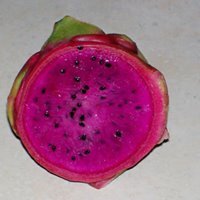 http://lycheejungle.com/product/red-dragon-fruit/Dragon fruit tastes like a mix between a pear and a kiwi and for other like kiwi and melon.We grow both the red and white inside colored fruit. The red varieties are much sweeter than the white. The Red and White varieties are sold May through November. 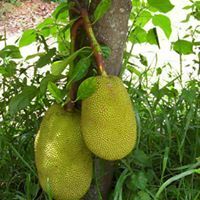 Jackfruit: The flesh of the jackfruit is starchy and fibrous and is a source of dietary fiber. The flavor is comparable to a combination of apple, pineapple, mango, and banana. Jackfruit: The flesh of the jackfruit is starchy and fibrous and is a source of dietary fiber. The flavor is comparable to a combination of apple, pineapple, mango, and banana. Varieties are distinguished according to characteristics of the fruit’s flesh. Jackfruit are sold yearly. Lychee (variously spelled litchi, liechee, liche, lizhi or li zhi, or lichee) (Litchi chinensis; Chinese: 荔枝; pinyin: lìzhī) is the sole member of the genus Litchi in the soapberry family, Sapindaceae. It is a tropical tree native to the Guangdong and Fujian provinces of China, where cultivation is documented from 1059 AD. China is the main producer of lychees, followed by India, other countries in Southeast Asia, the Indian Subcontinent and South Africa. A tall evergreen tree, the lychee bears small fleshy fruits. The outside of the fruit is pink-red, roughly textured and inedible, covering sweet flesh eaten in many different dessert dishes. Since the perfume-like flavor is lost in the process of canning, the fruit is usually eaten fresh. Lychee contains many phytochemicals. The seeds have been found to contain methylenecyclopropylglycine which can cause hypoglycemia, while outbreaks of encephalopathy in Indian and Vietnamese children have also been linked to its consumption.